Exchange 2010 Datacenter switchover tool (February 26): It’s often difficult to decide on the best possible way to convey information. PowerPoint can be overused and we’ve all heard about “death by PowerPoint”. But this tool is a rather nice way of using PowerPoint to bring administrators through the steps involved in performing an Exchange 2010 DAG datacenter switchover. Worth looking at! Cloud Computing Security Handbook (February 21): I like giving praise where praise is due and I really like the new security handbook for cloud computing environments that John Rhoton et al. have released. Worth reading if you’re facing into the management of a cloud infrastructure. Your own or using someone else’s. 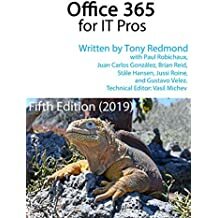 Office 365: Prepare Yourself to be Upgraded (February 19): The applications running in Office 365 are about to be refreshed so that tenants will run the Wave 15 versions (Exchange 2013, SharePoint 2013, etc.). This might or might not be a welcome surprise. I suspect that most people will welcome the update, even if they don’t realize that it has happened (for such is the promise of evergreen technology a la the cloud). Apple iOS woes reveal the seamy underside of BYOD (February 14): We got excited about BYOD from 2007 onward – or at least, users did. Administrators thought that BYOD was the work of the devil and the latest batch of iOS problems that we have all been suffering through has blackened the BYOD concept. Some more control is needed. The question is how to apply the control and how users will accept that control. Exchange 2010 SP3 is released – almost ready for Exchange 2013 deployments (February 12): Microsoft delighted and excited everyone by releasing Exchange 2010 SP3 and Exchange 2007 SP3 RU10. All seemed clear and ready to go with Exchange 2013 deployments until we all realized that it wasn’t quite the case. Exchange 2013 CU1 is required to complete the picture, but two out of three isn’t bad. Or is it? Apple iOS 6.1 upgrades result in excessive transaction log growth (February 7): It’s been a bad period for iOS updates. Each one seems worse than the last and none cure the underlying problem. We’re still not altogether sure whether the latest code from Cupertino is acceptable. I’m sure that iOS will get there in the end, but it’s depressing that the problems are quite so long-lasting. Touchdown–a solution for BYOD email? (February 7): I wrote this review after testing Touchdown on my Windows 8 PC. I could have waited and tested it on a Surface Pro, but in any case the same result would probably have occurred. Touchdown is an interesting email application that’s better and more secure than the standard Windows 8 mail app. But then again, who cares when you have Outlook? Performance Monitor and Exchange DAG replication queues (February 5): I was rather disappointed that this post didn’t get as many views as I thought it deserved. The salient fact is that the only way that you can be sure of knowing what your replication queues are is to consult Performance Monitor counters. EMC and EAC both lie, but only because they’re stuck in a certain point in time. Haven’t we all been in similar situations? Office 365 outages due to “routine maintenance” (February 1): Office 365 has received quite a bit of publicity recently, and rightly so because a lot of very interesting developments are happening in that space. But interesting developments turn to dust when the service is unreliable. Outages caused by routine maintenance don’t really create a whole heap of confidence. On the other hand, Office 365 usually provides an excellent service, so let’s hope that this is a glitch that won’t be repeated. I have no idea what March will bring. Perhaps Exchange 2013 CU1? This entry was posted in Cloud, Email, Exchange, Exchange 2010, Exchange 2013, Office 365 and tagged Apple iOS 6.1, BYOD, Cloud Computing, DAG replication, Exchange 2007 SP3 RU10, Exchange 2010 SP3, Exchange 2013 CU1, Exchange Unwashed. Bookmark the permalink.